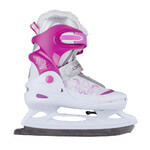 Lightweight and comfortable skates by top-class brand, figure-skating blades, thermal lining, water-resistant, simple lacing. 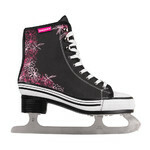 Made by the world’s famous brand K2, the Women’s Ice Skates K2 Alexis Ice FB are amazing recreational skates which combine comfortable and breathable shoes and figure-skating blades. 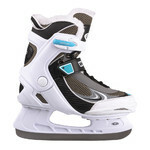 The K2 Softboot© patented design of the inner shoe has been perfected throughout the years. As a result, the shoe is breathable, durable and adjusts to the shape of the foot. 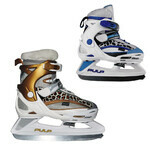 The thermal lining and waterproof surface make the skates suitable for outdoor rinks. 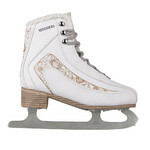 You may also appreciate the reinforced ankle (Stability Plus Cuff) which provides excellent support, which will come in handy especially when you are a beginner. Made of one piece of composite material, the frame is durable but also extremely lightweight. The blades are made of high-quality steel which is easy to sharpen. 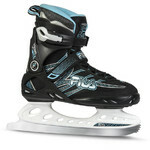 Compared to regular skates, the Women’s Ice Skates K2 Alexis Ice FB feature simple lacing which will help you secure the foot in place with minimal effort. 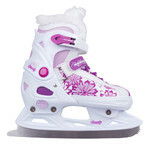 Make full use of the skates’ sophisticated design and enjoy a smooth and comfortable skate.